BOB GELDOF was cheered as he yelled expletives at the crowd at this years Henley Rewind in Henley at the weekend. The singer and his band the Boomtown Rats appeared on the second day of the Eighties pop festival at Temple Island Meadows. The man who masterminded the Live Aid concerts in 1985 began his set by asking the crowd: Henley, are you f*****g ready? before introducing his group as the greatest rock n roll band in the world. Dressed in a snake skin suit, white T-shirt and black shirt, Geldof got the crowd singing along to their hits I Dont Like Mondays and Rat Trap. This was greeted by cheers from the crowd and one woman replied: Good on you, Bob. A sell-out crowd of 40,000 attended the sixth annual festival. Bonnie Tyler had the crowd cheering and dancing as she performed a three-song set featuring hits Its A Heartache, Total Eclipse of the Heart and Hero and former Spandau Ballet frontman Tony Hadley sang the groups No 1 hits True and Gold as well as performing a new song, Take Back Everything. Other performers over the weekend included Level 42, Sister Sledge, Mike and the Mechanics, Jimmy Somerville, Holly Johnson, UB40 and Tom Bailey from the Thompson Twins. Many people came dressed in Eighties-themed costumes with Darth Vader, Robocop and Wonderwoman all making appearances. 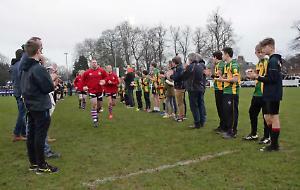 A full report, pictures and review will appear in this weeks Henley Standard.